Star Jasmine plant, Trachelospermum jasminoides, is a versatile and decorative. A popular garden plant, used as a climber, ground cover, spreading bush or indoor plant. 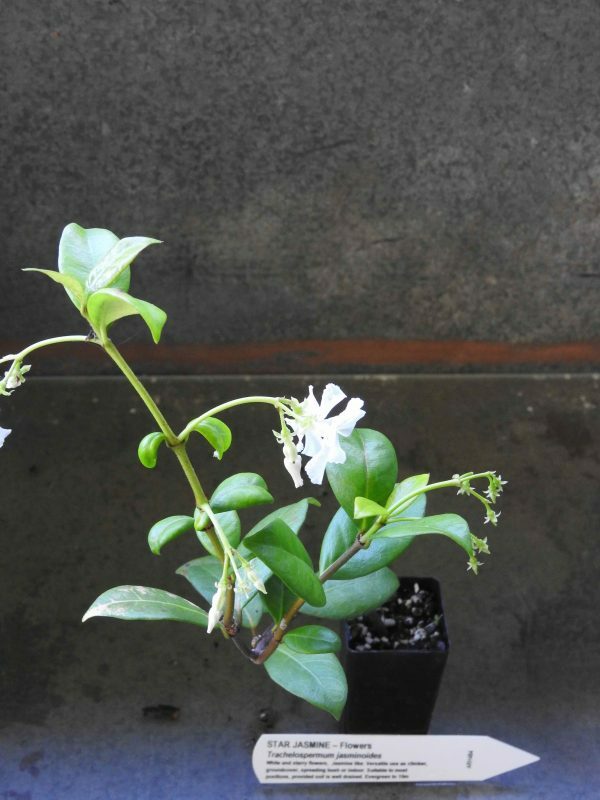 The fragrant white, starry flowers are jasmine like. Suitable to most positions, provided soil is well drained. Evergreen to 10m. Be the first to review “Star Jasmine, plant” Click here to cancel reply.